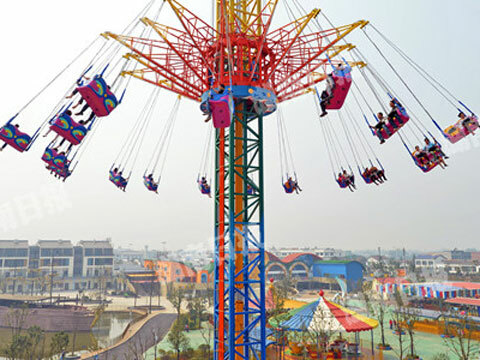 Swing tower ride is a kind of swing ride which is similar with the swing carousel, but it is more interesting than the swing carousel ride. 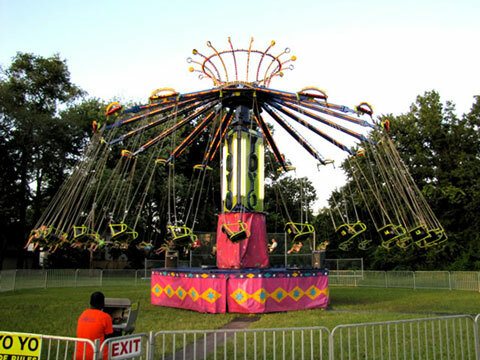 It is the newest sensation in the tower rides industry. It is popular with kids and adults. 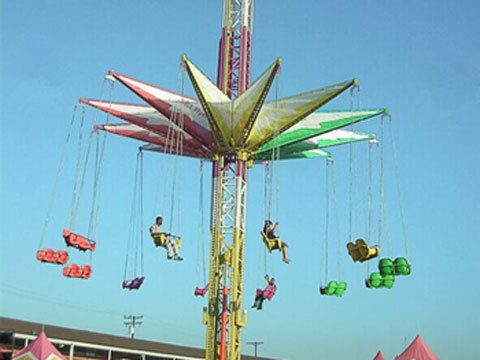 Sometimes we also call it the Yo-yo ride because of its unique appearance and the sky flyer. 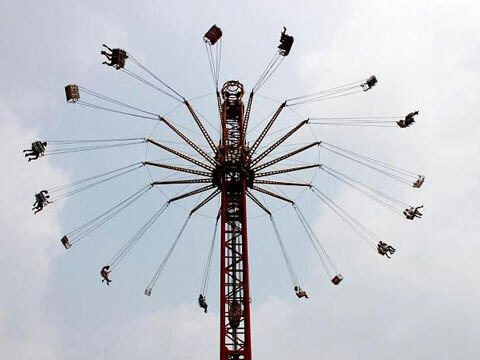 Passengers sit in a double seat and next to his friend could enjoy the spinning feeling freely. 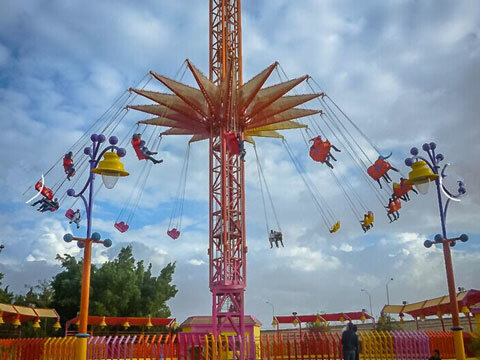 All of the seats are equipped with safety belts, this ride is a popular amusement ride that is attractive to kids in the amusement park. Height and chair number of the ride can be customized by clients. LED lights and music box will adding more pleasure to passengers. High quality but with lower price which is popular with our customers. All-round pre-services and post-services to our product.